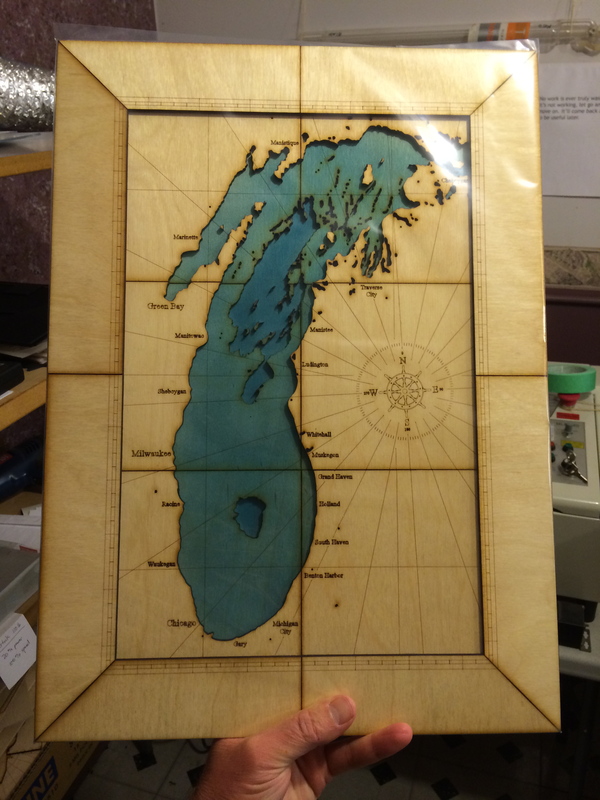 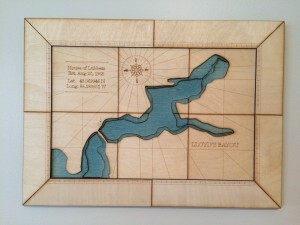 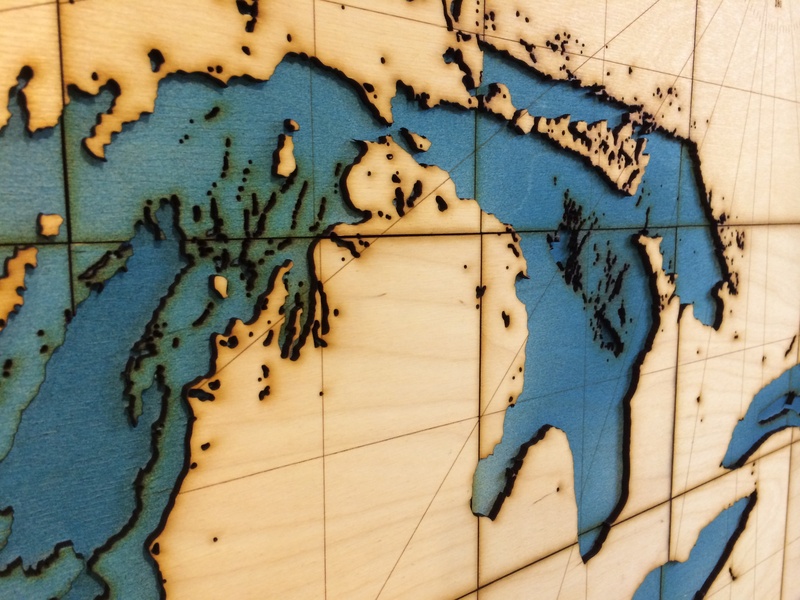 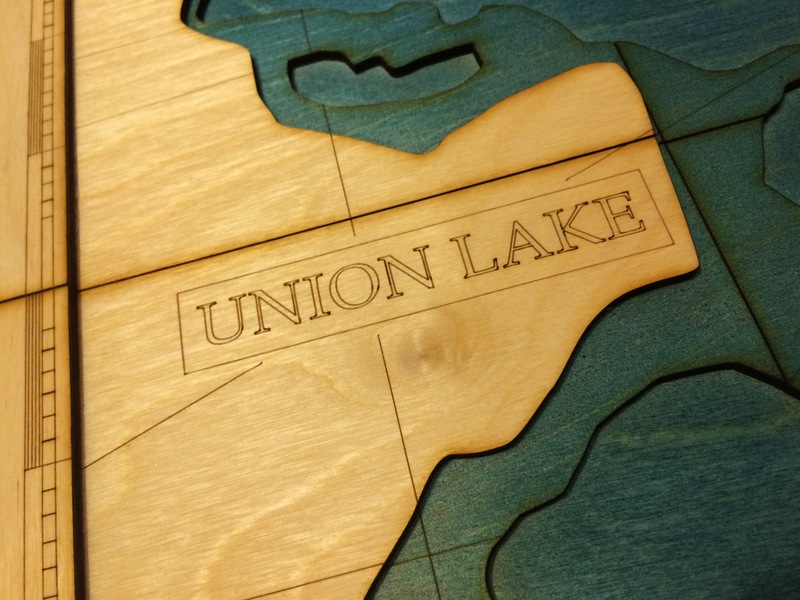 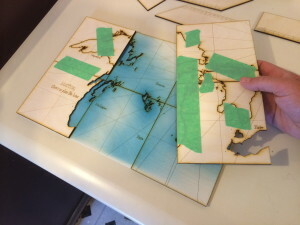 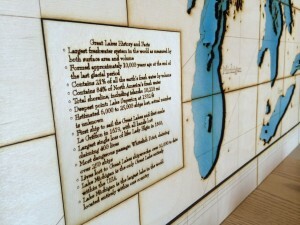 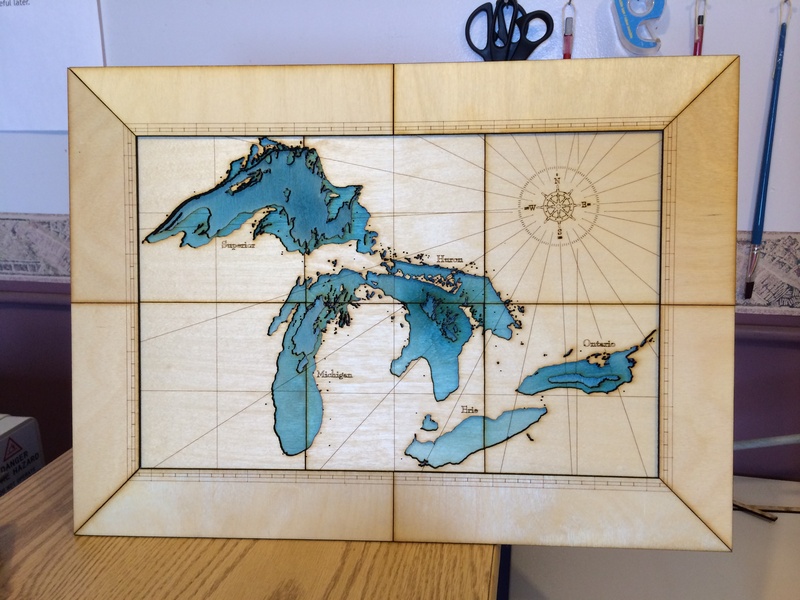 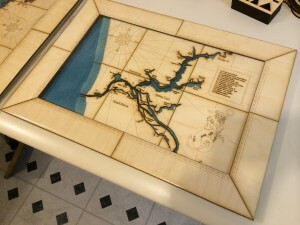 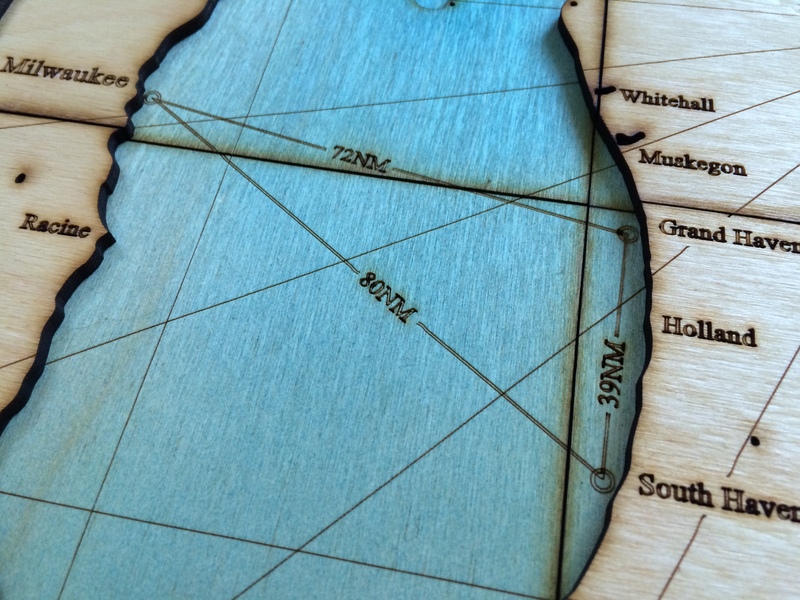 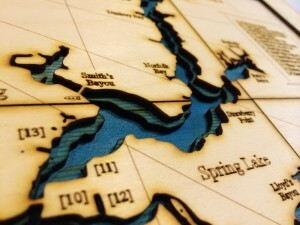 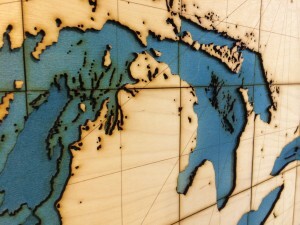 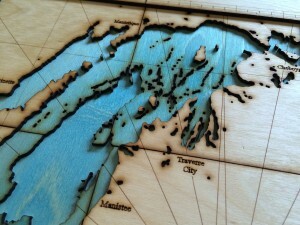 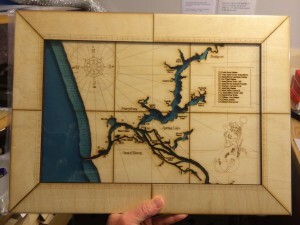 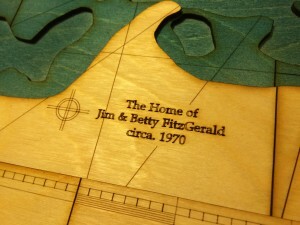 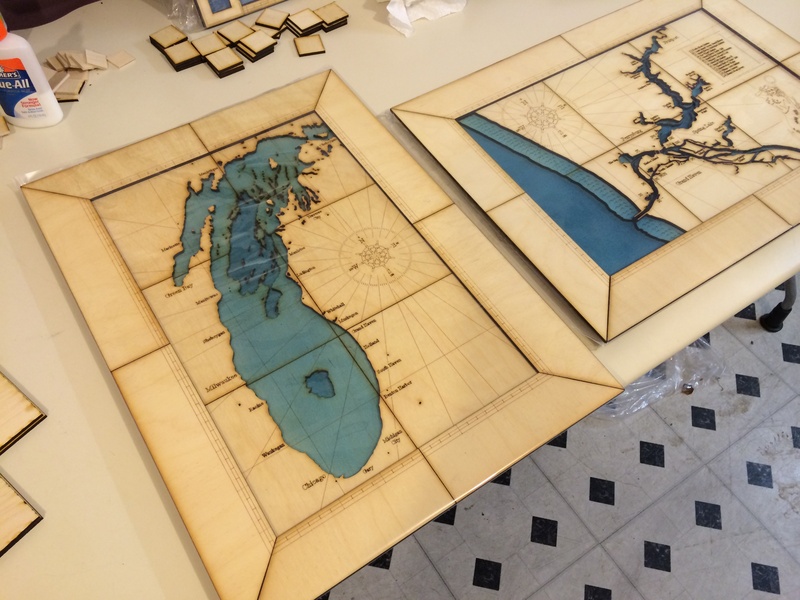 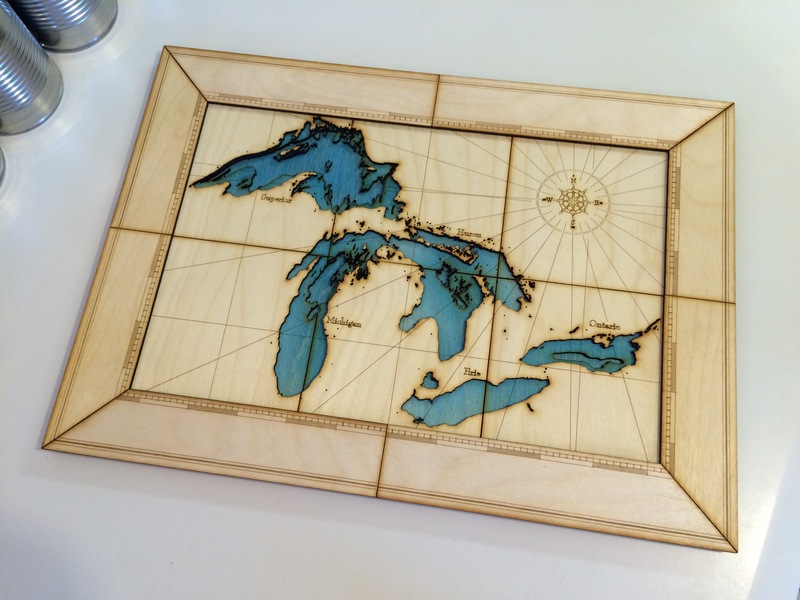 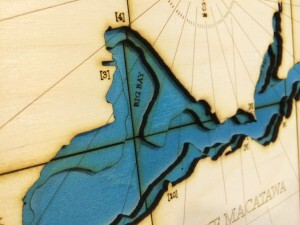 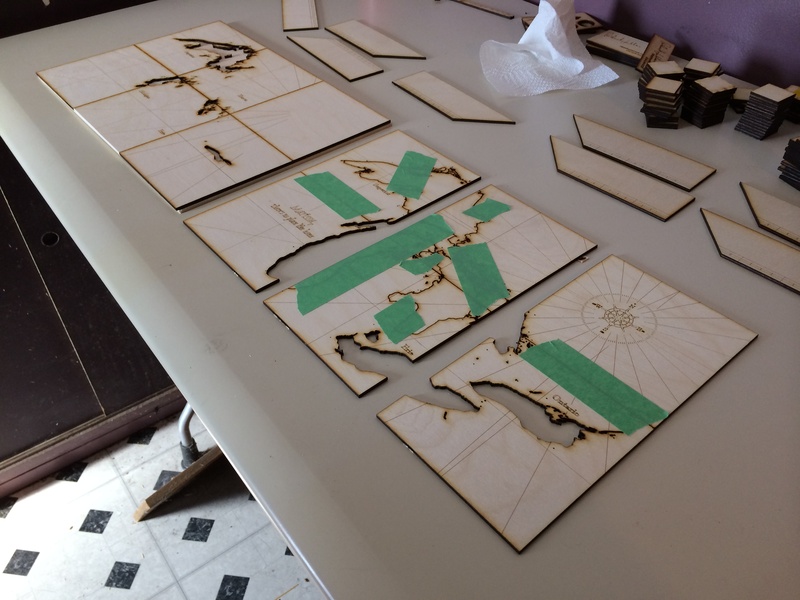 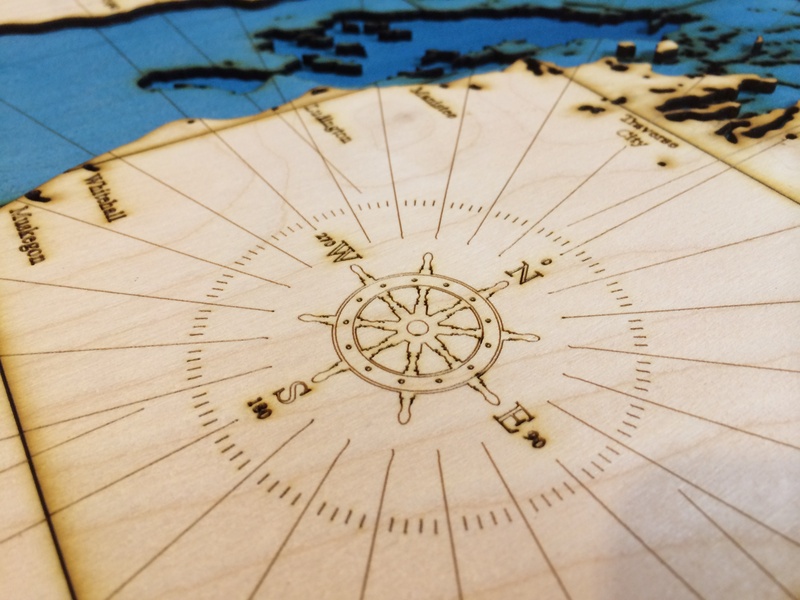 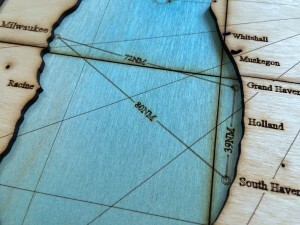 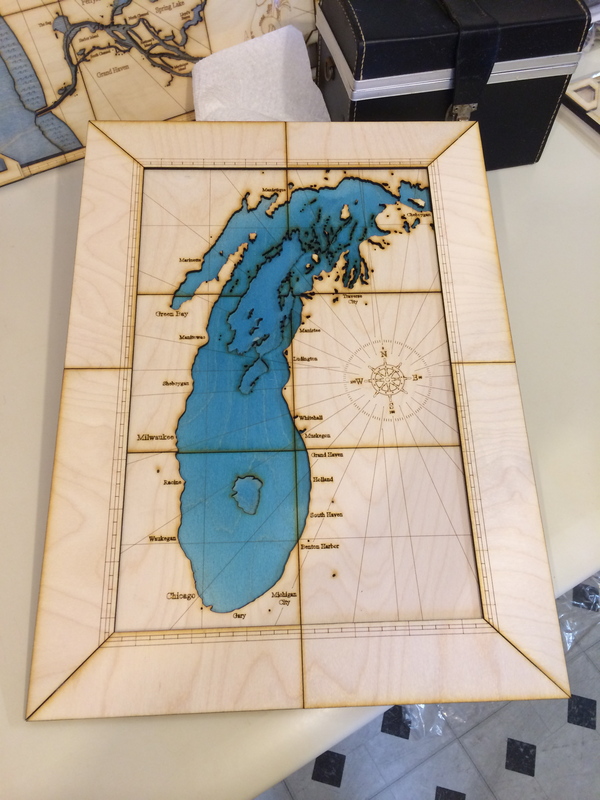 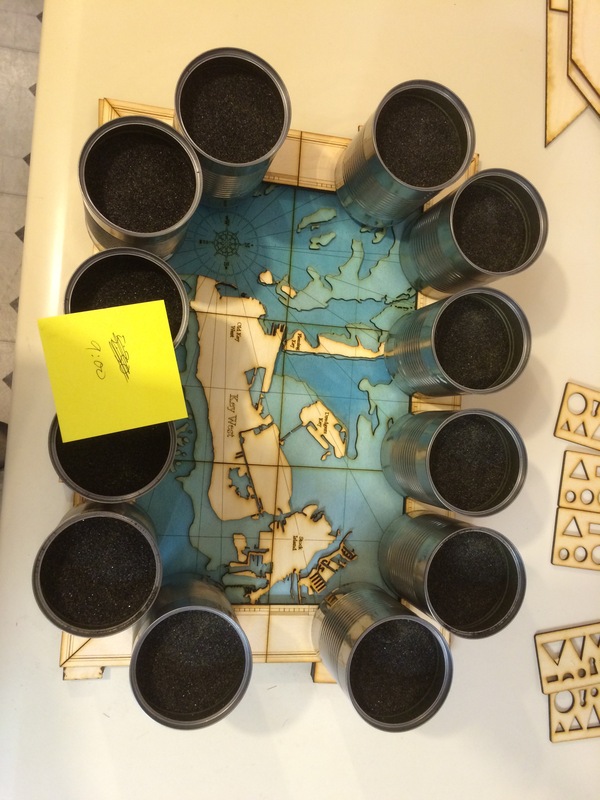 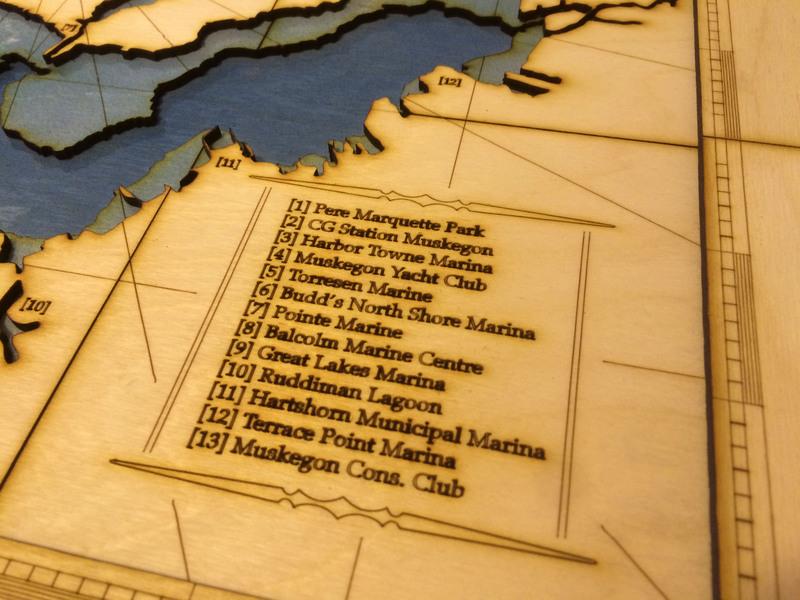 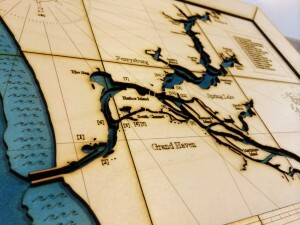 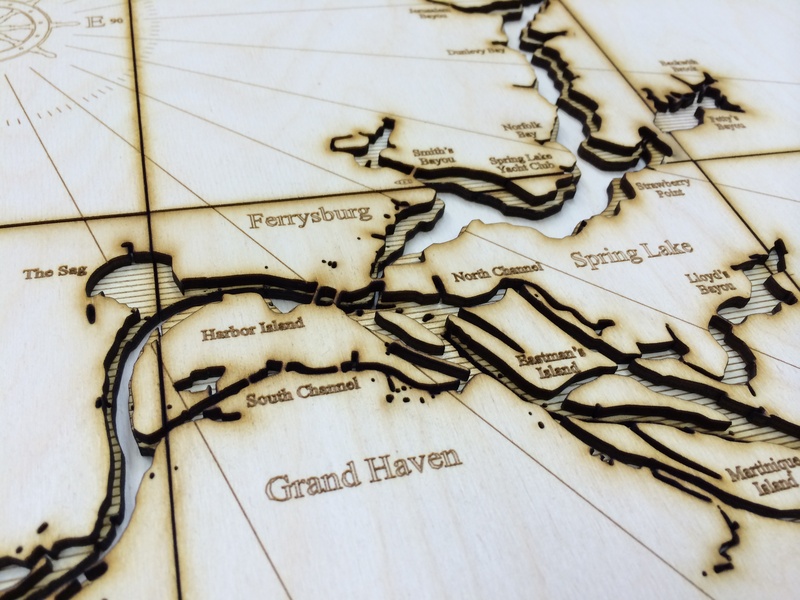 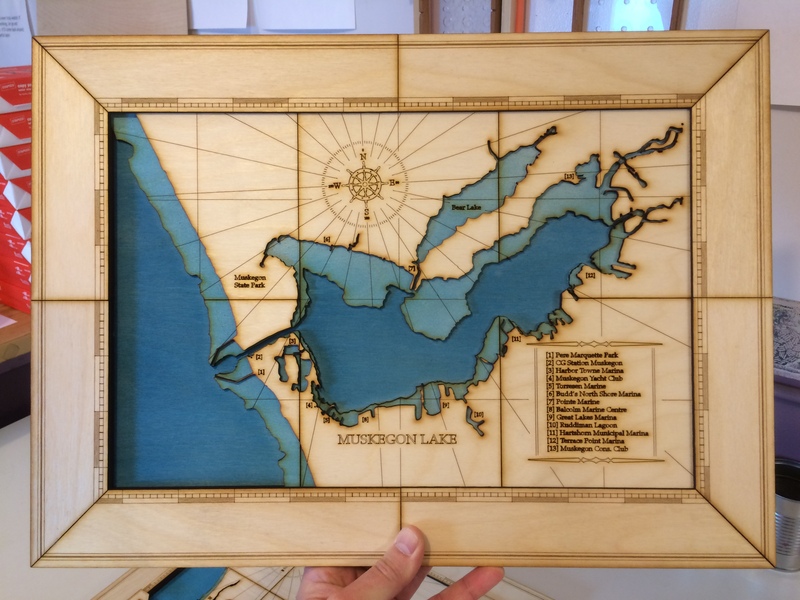 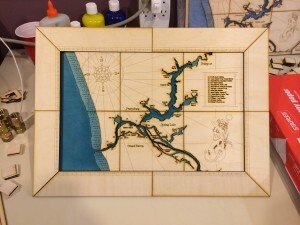 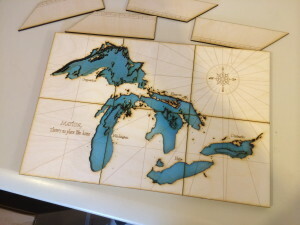 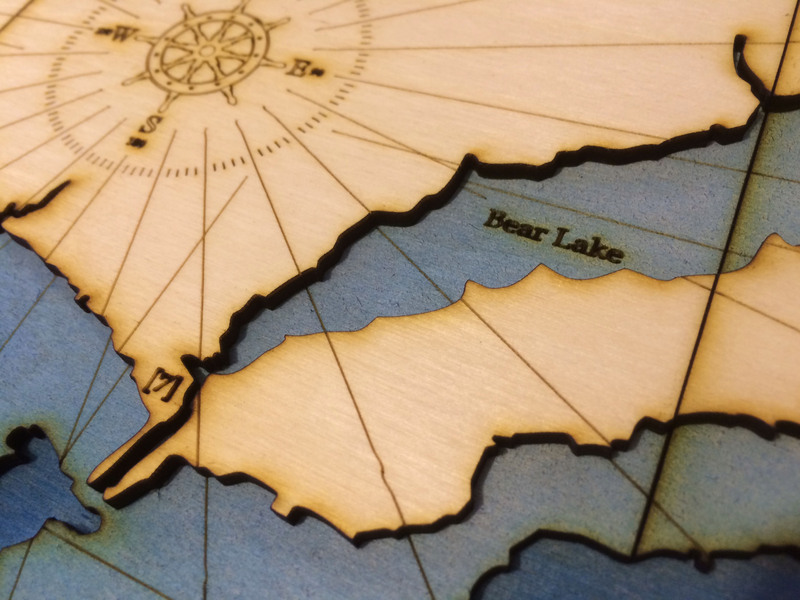 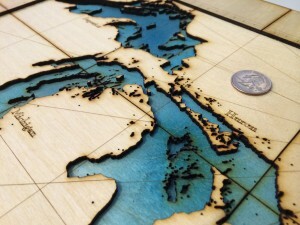 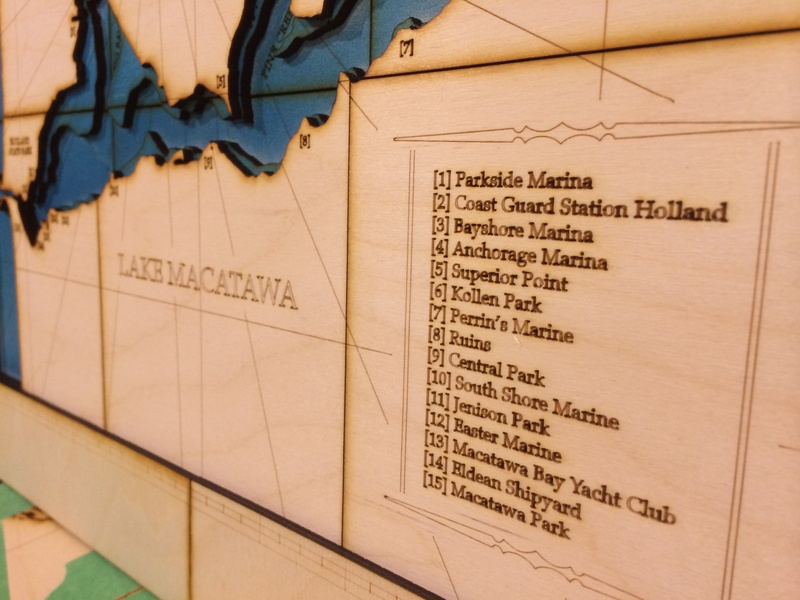 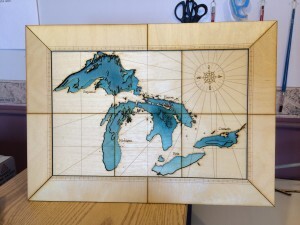 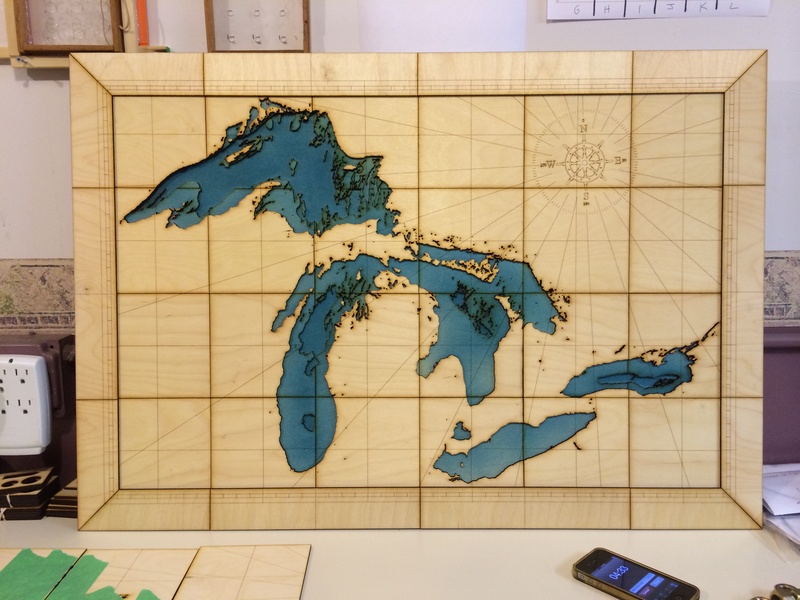 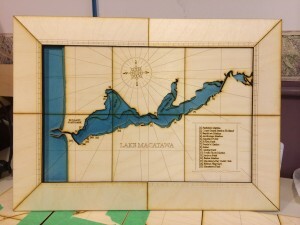 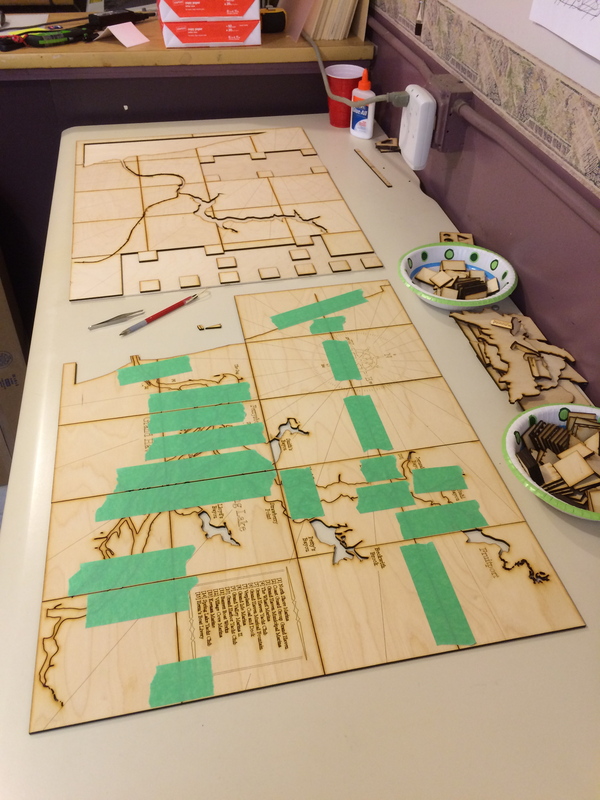 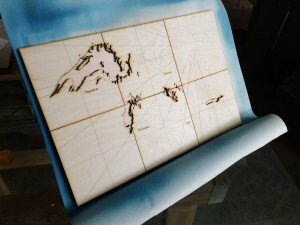 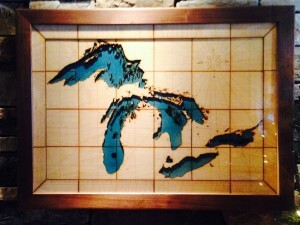 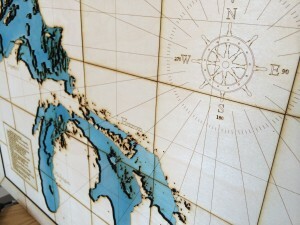 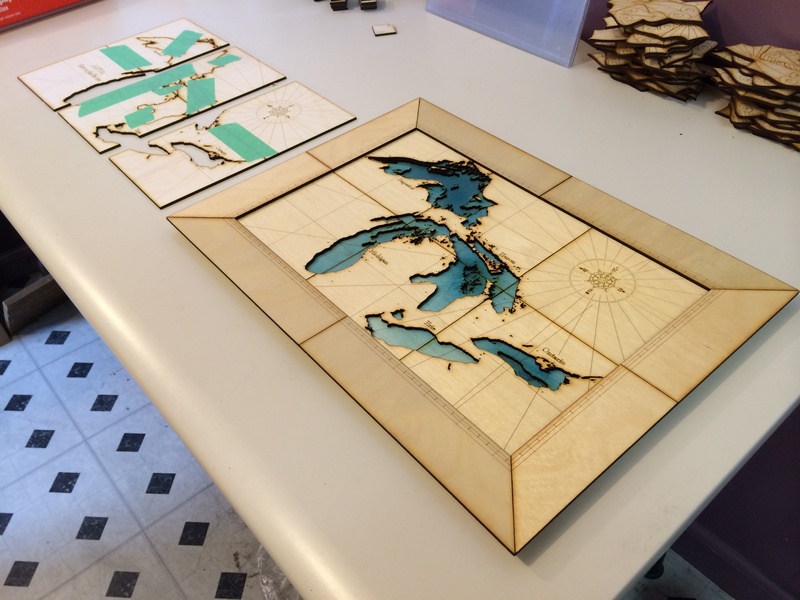 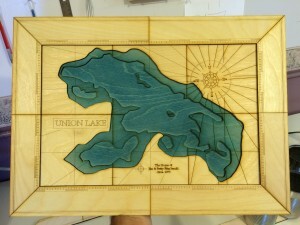 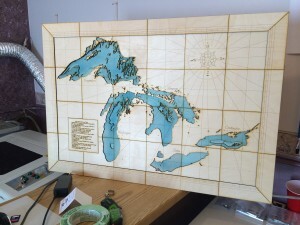 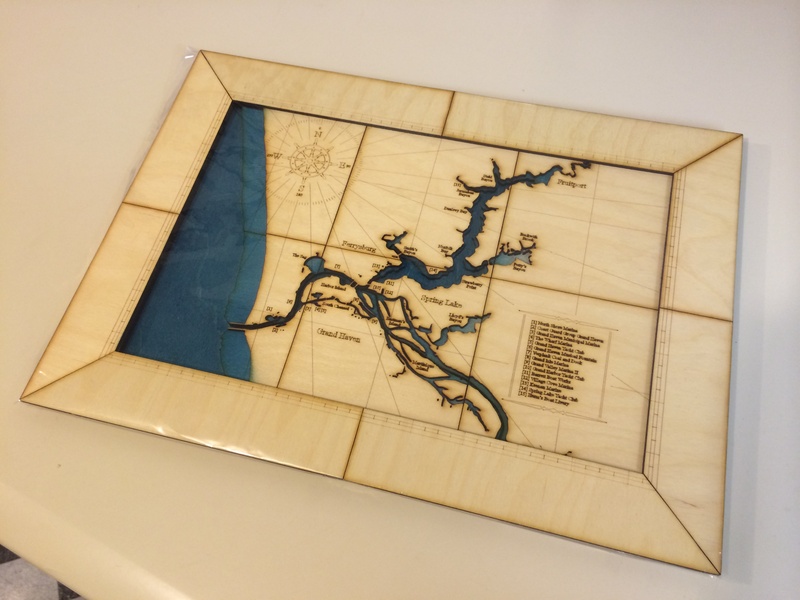 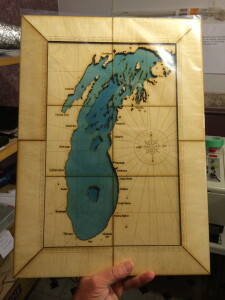 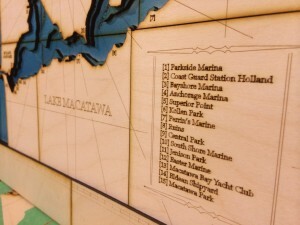 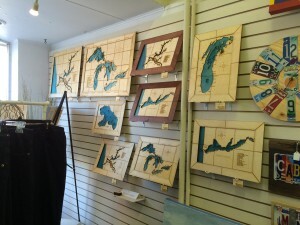 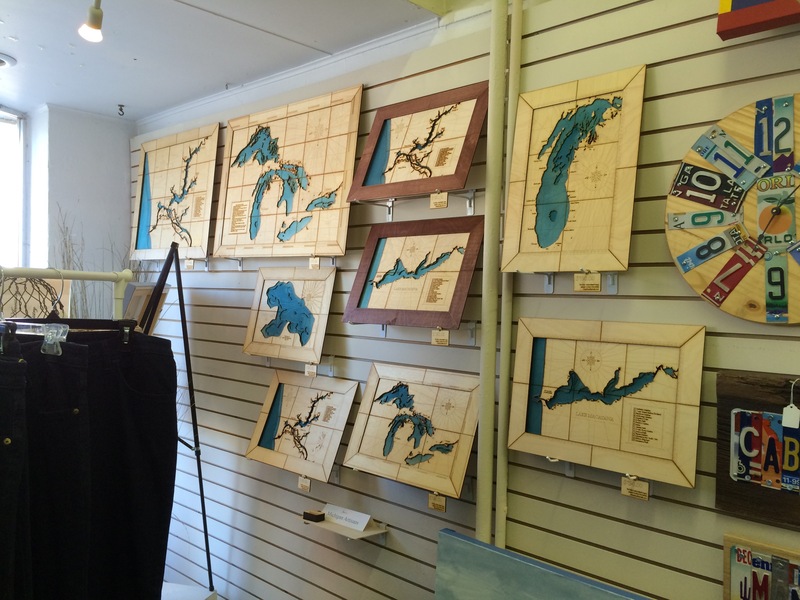 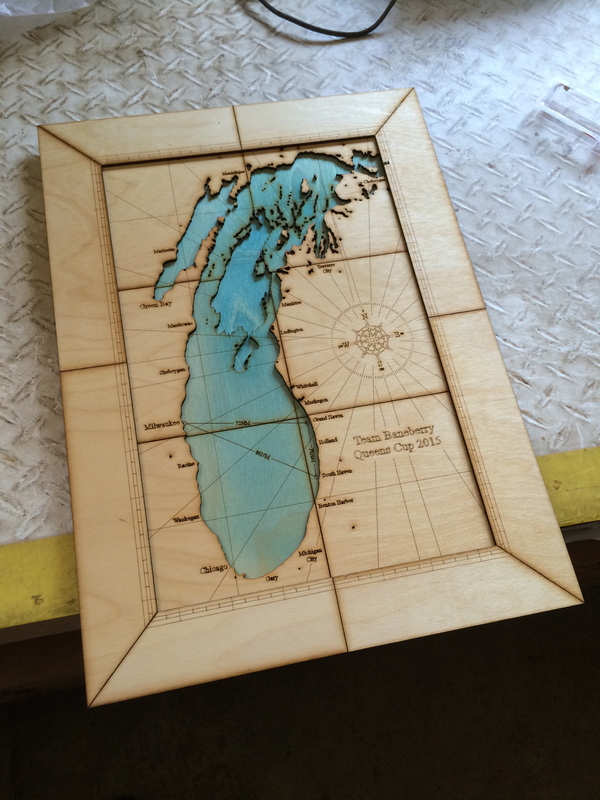 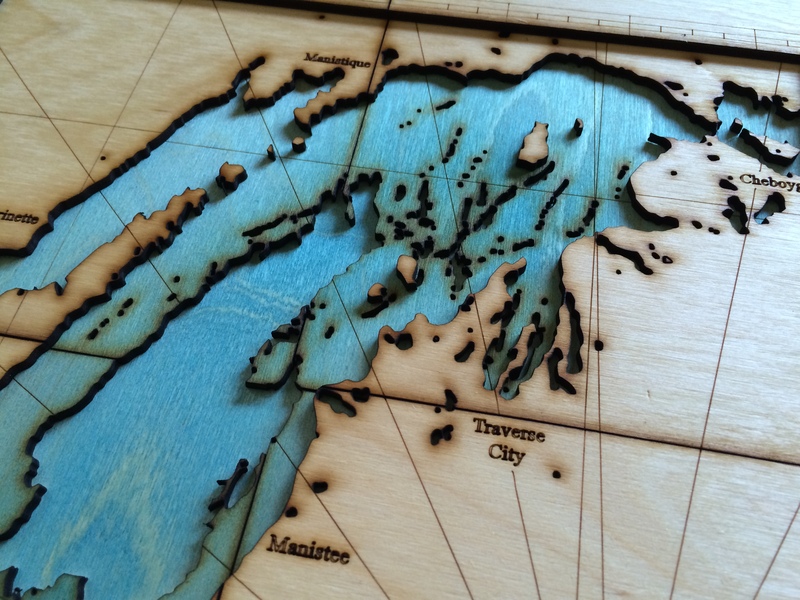 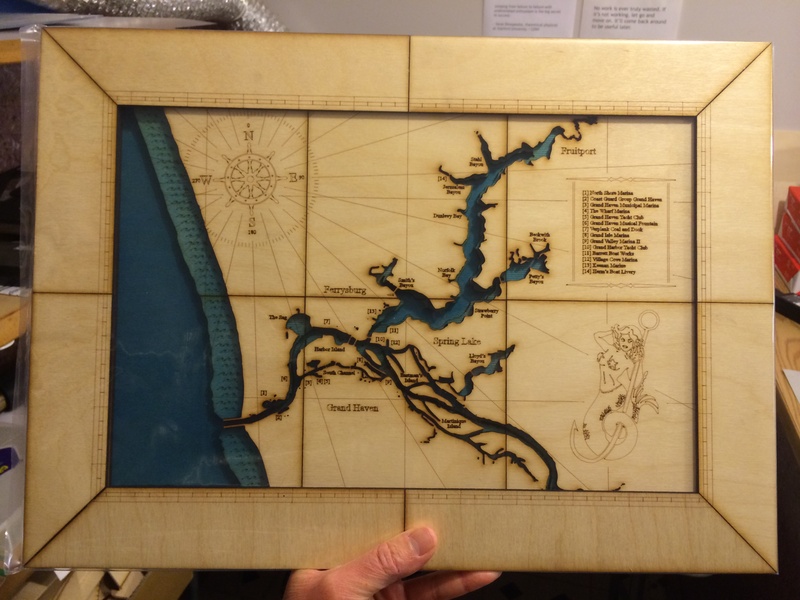 A chronological photo smorgasbord of my laser cut nautical charts. Oldest work is shown first, from the summer of 2014 when I first started and did not yet color the water. 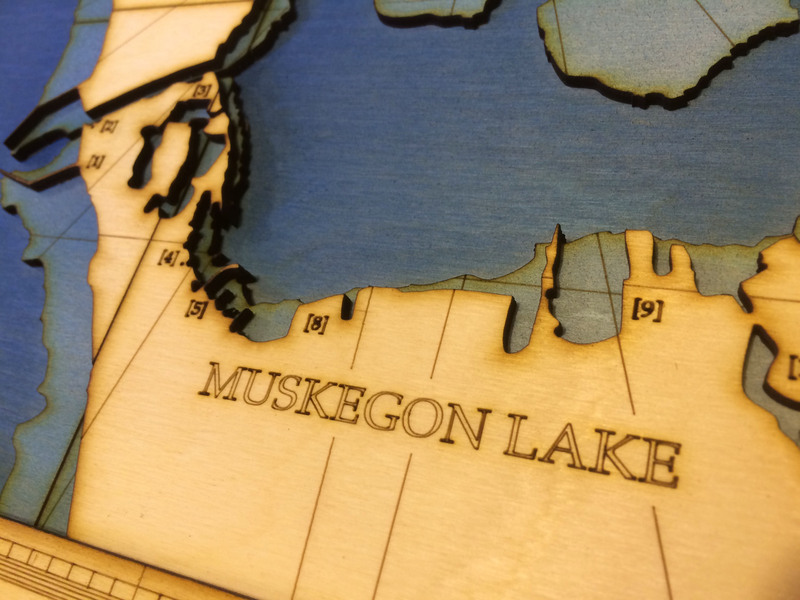 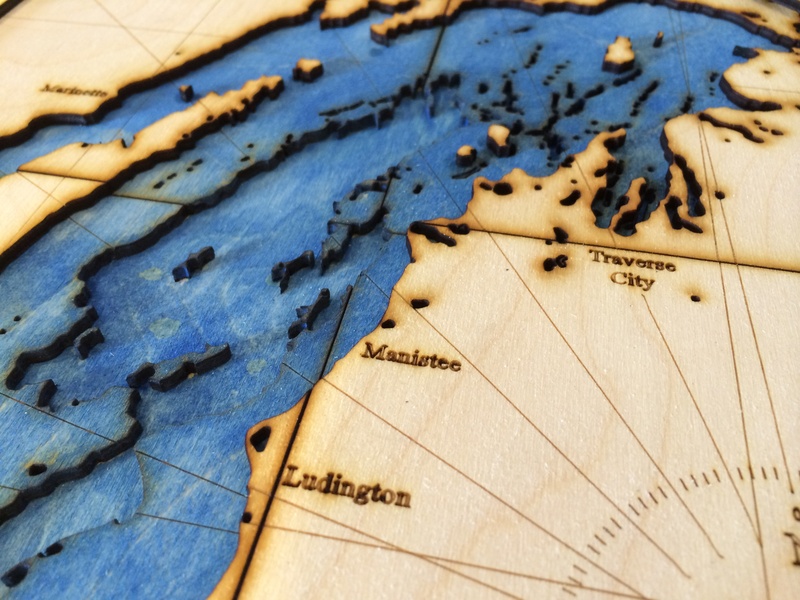 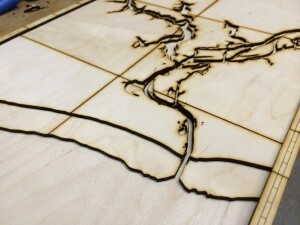 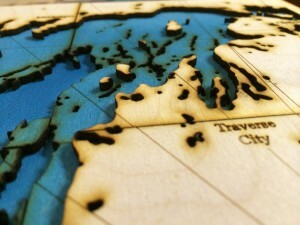 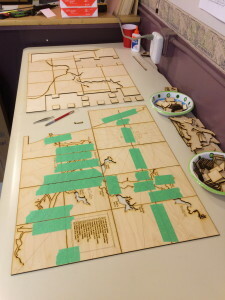 As you scroll down [and forward through time] I experimented with brushing in watercolors, but then switched to airbrushing water-and-fade-proof artist ink in the newer laser cut maps. 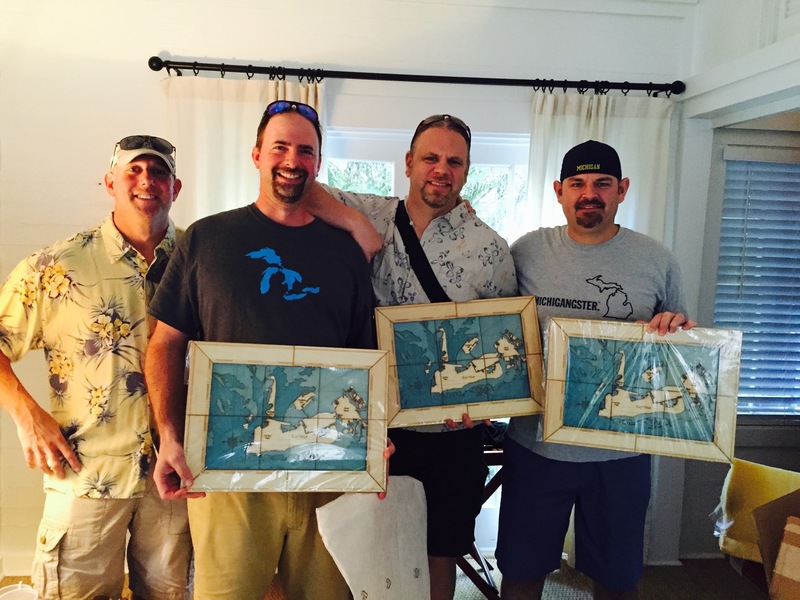 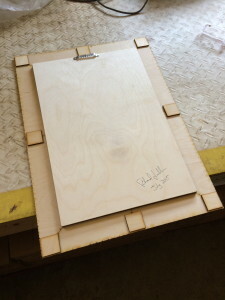 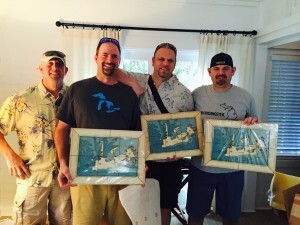 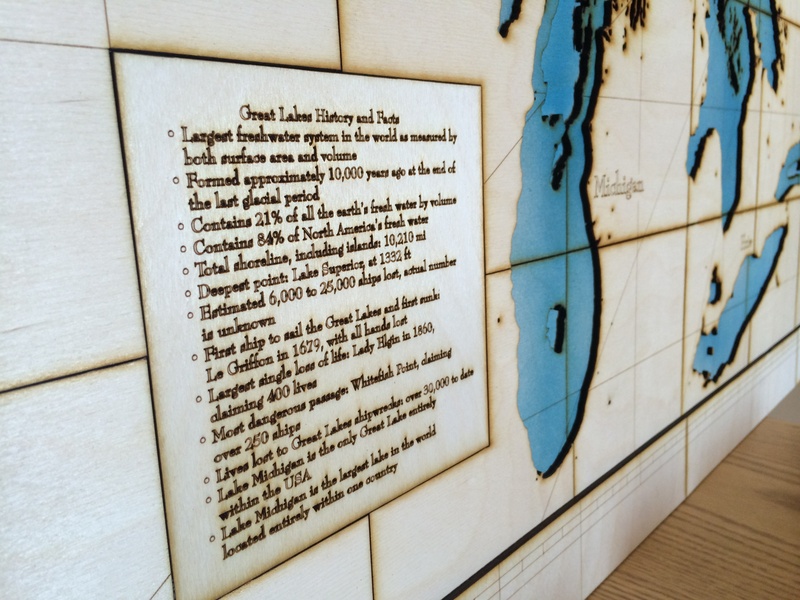 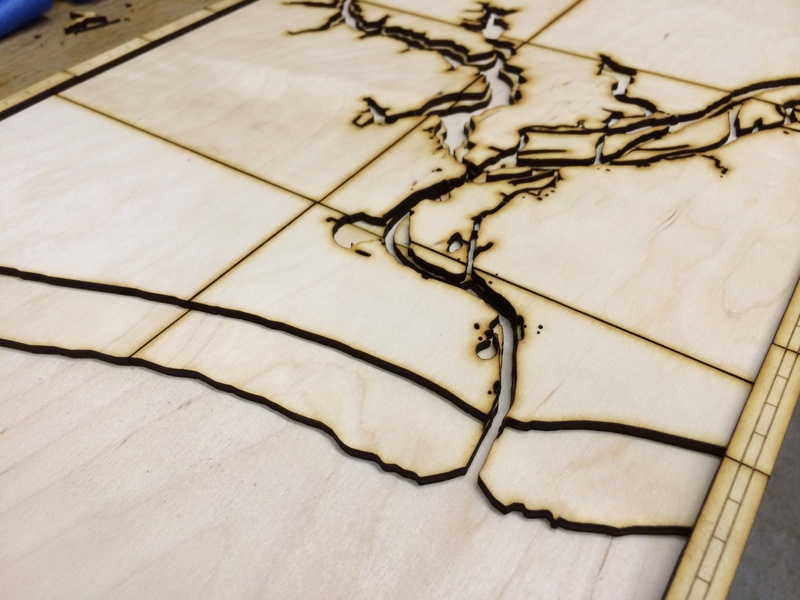 The laser cut map of Key West at the bottom of this page was designed and cut in Nov 2015.